The E‐Flame Control System enables appli­ances to run at peak efficiency. 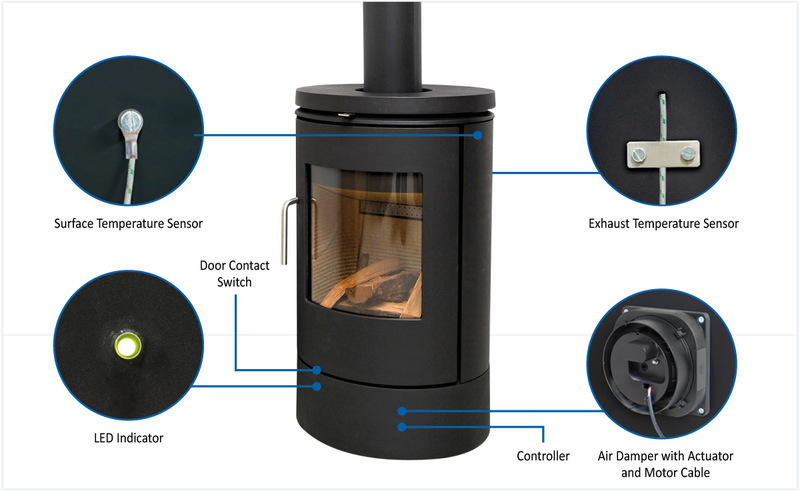 The system is battery powered and used for full automatic control of combustion air in wood and solid fuel stoves. 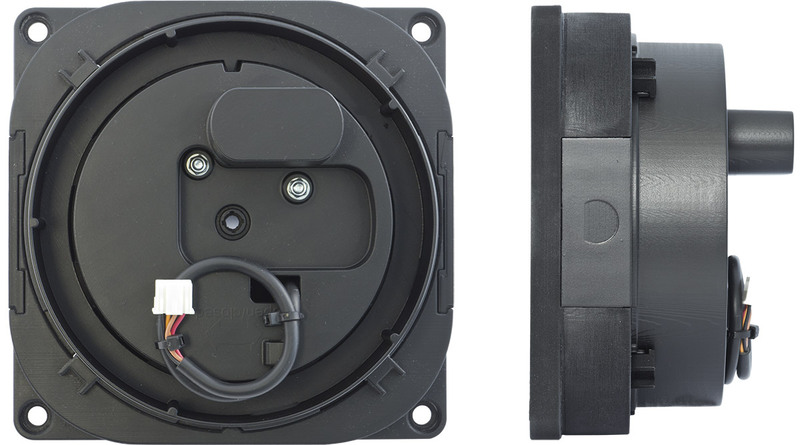 The Receiver drives an Actuator that controls the primary and secondary combustion air. The optimal air volume required for a clean and economic combustion is deter­mined by using surface and exhaust sensors. The E‐Flame Control System fully automates solid fuel appli­ances. It is program­mable and can operate any appliance according to OEM speci­fi­ca­tions with minimal program/install effort by the manufac­turer. In addition to automatic operation, the E‐Flame can -operate the appliance manually with the RF handset. 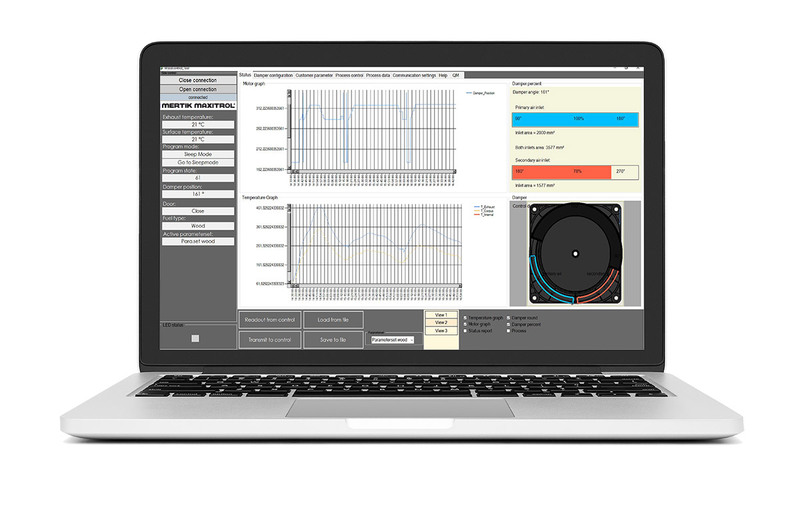 The E‐Flame Software Tool allows manufac­turers to set and modify a stove’s parameters. It also provides real‐time data logging for perfor­mance evalu­ation. Status gives an overview of surface and exhaust temper­a­tures, damper position, and motor movement in real‐time. Graphs illus­trate changes in real‐time. Damper Configuration is used to easily program damper position and behavior. Custom Parameters include start, control, general parameters, and an overload situation. Process Control allows users to manually adjust the damper position. Communication Settings show baud rate and identifies the wood control mode. Help explains individual parameters used in the E‐Flame Software Tool. Process Data allows the export and import of parameters to an excel file for data evalu­ation.